Since the advent of the unfortunate events of 9/11 in New York in 2001, Islam has, duly, become an easy target for Western attacks and, as a result, Islamophobia has increased in intensity and scope and has, consequently, even turned into a kind of religion for Muslim-haters, especially those who believe, wrongly, that Islam is an insidious force and subliminal belief of hate, destruction and backwardness. As such, today, regrettably, Islam is equated with violence, with hatred, with terrorism, with death etc., bearing in mind that those so-called Muslims who opted for extremism, for political reasons and gains, are a handful and their motives are very suspicious, secretive and totally criminal. Indeed, such dangerous and lethal groups like: al-Qaeda, ISIS, and associated dormant cells and lone wolves, etc. can in no way represent 1.5 billion peace-loving Muslims around the globe and speak in their name, at all. But, alas, these inhuman and violent so-called Muslims have triggered much hatred in the West towards Islam, in general. Indeed, Trump, as a US presidential candidate, vilified Muslims, at will, and as a president he signed the so-called Muslim ban, barring the citizens of some Muslim countries from entering the US. The violence of Islamophobia (1950-present time). As of today, there is so much bad blood between Islam and the West and there is an urgent need for real interfaith dialogue, principled and objective-driven between the Judeo-Christian and Muslim cultures. Traditionally interfaith dialogue gathered men of religion and some junior political decision-makers and their deliberations became recommendations that were never implemented, as a matter of fact. As of now, interfaith dialogue must be dynamic and out-reaching to be able to percolate down to the concerned decision-makers and especially the masses. Morocco, as a matter of fact, stands today as a good example of an Islam open on other cultures and creeds. A country where tolerance is part of the genetic code of the population and the acceptance of the other in his otherness be it linguistic, cultural or religious is a way of life. Today, Morocco is a good example of interfaith dialogue: the monarchy is 13 centuries old and is driven by the concept of imarat al-mu’minin or “Commandership of the Faithful, ” whereby the king is the guarantor and the protector of all religions on equal footing. Jews, indeed, have lived in Morocco in total peace since the year 70 A.D when they arrived in the country after being persecuted in Palestine by the Romans. Morocco is a land of tolerance, acceptance and coexistence. King Hassan II has described it as a tree whose roots are in Africa, its trunk in Morocco, its side branches in the Middle East and its top foliage in Europe. Sitting on the crossroad of so many cultures, religions and civilizations, Morocco has become through the centuries a haven for countless cultures, ethnicities and ways of life. Moroccans are, by nature, friendly, open, and tolerant of other people. Their most important quality, by far, is their ability to welcome in other life experiences and adapt them to their lives. 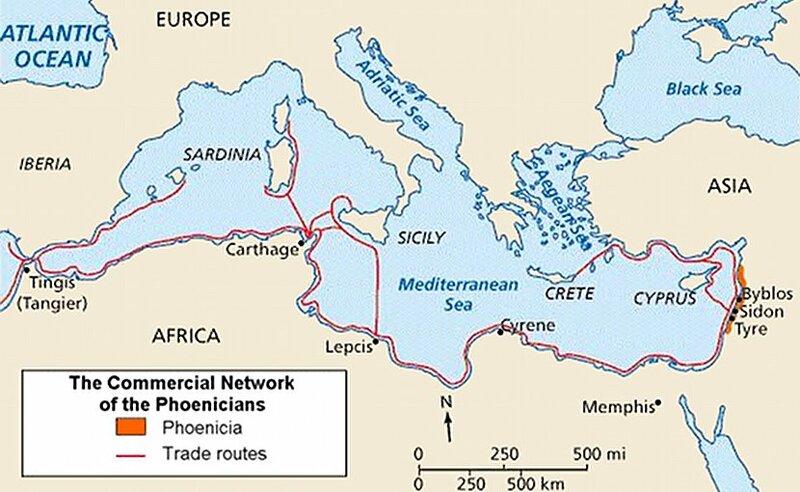 Map of Phoenicia and its Mediterranean trade routes. Source: Wikipedia Commons. As such, they have interacted positively with Phoenicians, Carthaginians, and Romans among others races, in beneficial exchanges; one still witnesses, today, vestiges of these in the language, customs and beliefs, not to mention, the remains of entire cities such as Volubilis, Lixus, Sala Colonia and Mogador. Until their massive migration to Israel on the aftermath of the creation of this state in 1948, Jews lived all over the country in villages, towns and cities, engaging in commerce, trade and finance. Because of their wide experience in international trade, Moroccan Sultans appointed them as their financial and commercial agents (tujjar sultan). An example of the good interfaith dialogue in Morocco can be witnessed in the city of Sefrou, situated thirty kilometers south of Fes. In Sefrou, Muslims and Jews lived side by side in harmony for centuries, and often practiced their religious rituals in such unison with each other that it was difficult to tell what was Islamic and what was Jewish. They even venerated the same man, whom many considered a saint, buried in a grotto in a neighboring mountain. The site was tactfully called Kaf al-moumen (the grotto of the faithful) because it was a religious sanctuary for both Muslims and Jews, and times for worshiping in this area were equally divided, the year around. Somewhat, the Amazigh/Berbers and Jews of this mythical city and capital of religious coexistence are the forfathers of the Judeo-Amazigh/Berber cultural substratum of Moroccan tolerance. The example of Sefrou is not unique; it is found in other places such as Debdou, Azrou, Fes, Rabat, Meknes, and Marrakesh, among others. Communities of Jews lived and practiced their faith in all these places in complete peace and harmony. They were, in principle, full Moroccans, and as such enjoyed the full rights and obligations of their Muslim brethren. “Morocco is considered one of the most stable countries of the region, with more or less peaceful co-existence between the various religions and cultures that make up the Moroccan social fabric. As a testament to this, the city of Fez, classified by UNESCO as part of the global human heritage, held a significant event on 13 February 2013: the inauguration of the newly renovated Fez Prayer Synagogue. 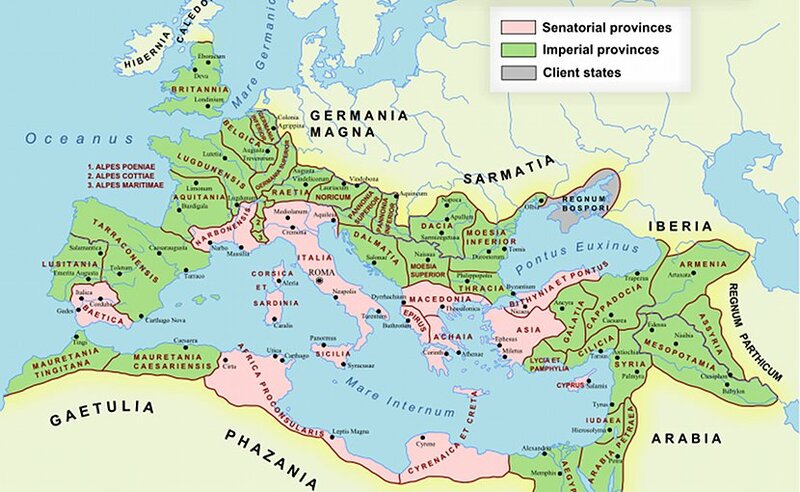 The Roman Empire at its farthest extent in AD 117. Source: Wikipedia Commons. During the Second World War, when the Germans occupied France, the collaborationist Vichy government wanted to persecute Moroccan Jews. The late King Mohammed V resisted the order and called for the persecution of all Moroccans, if this were to happen, on the grounds that the Jews are no different from his other subjects, for whose safety he was fully responsible as a monarch and mostly as “Commander of the Faithful”. 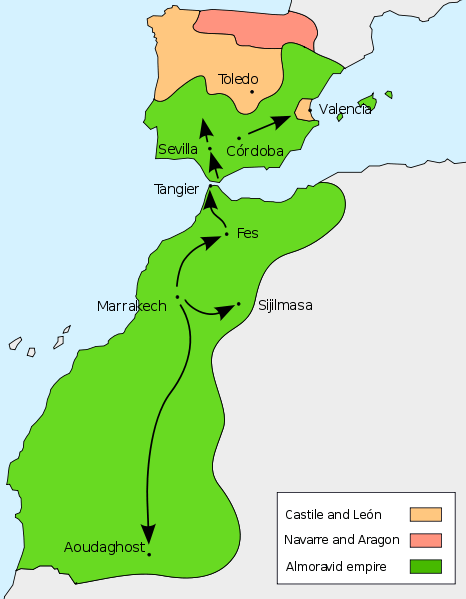 At the turn of the twentieth century, Morocco was subjected to European colonialism and was divided up between France and Spain. More than 44 years of this Protectorate regime left a lasting and vivid imprint on the language, culture and way of life of Moroccans and French and Spanish cultures are, as such, part and parcel of the Moroccan way of life which the locals espouse with much openness and delight. The Moroccan monarchy is one of the oldest in the world, dating back to the Idrisid dynasty (788–974) and has continuously striven to strike a balance between different religious currents, social tendencies and economic interests. The task has always been difficult, if not impossible. Still, one must acknowledge that the political system has undoubtedly been quite successful in keeping the country united and inclusive. 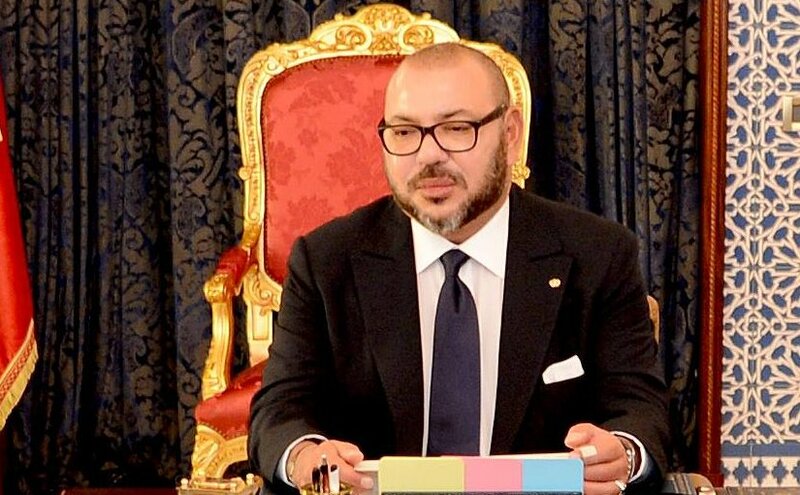 Morocco’s King Mohammed VI chairs installation ceremony of the Higher Council of the Mohammed VI Foundation for African Islamic scholars. The monarch in Morocco is the head of the state, but, most importantly, he is “the Commander of the Faithful;” amir al-mu’minin, a religious office that gives him a quasi-sacrosanct status. Ordinary people would often criticize his political acts, his worldly decisions in running the affairs of the country, but, hardly, his religious clout, leadership or actions. Interestingly enough, his religious status is, even, recognized in many countries in West Africa, that acknowledge his religious title of “Commander of the Faithful,” especially among the Tidjane communities in the Western parts of the continent. In the 19th century, Morocco was, de facto, divided into two political territories, but it was still one country paradoxically. There was bled al-Makhzen, land under total control of the central government, and bled as-siba, land of dissidence, made generally of mountains inhabited by the Amazigh/Berbers, who recognized the religious authority of the sultan but not his political role and,as such, they, often, refused to pay taxes to him. But, in spite of this quiet and muted rebellion of the Amazigh/Berbers against the sultan, his religious clout remained intact. The inhabitants of the mountains made Friday prayers and the ensuing sermon, khutba, in his name. Because of the importance of the religious field, the Ministry of Awqaf and Religious Affairs was, always, located in the Mechouar (palace’s precinct) so that the monarch could walk to the ministry whenever he deemed it necessary, in order to oversee the management of religious affairs of the country. During the reign of Hassan II (1961-1999), a very conservative monarch, he made it a rule to always start and end his speeches to the nation with verses, surats, of the Koran and intersperse them with sayings of the Prophet Muhammad, hadiths, which gave his words a kind of sacredness, even though most people did not understand such speeches because they were delivered in classical Arabic and not in darija, the local Arabic idiom. Following the Iranian revolution in 1979, and the subsequent rise of political Islam in the Muslim world, Islamists took control of religious matters in most Muslim countries because local political leadership had either secular inclinations or did not consider religion as an important issue of daily life. To give their campaign importance and gain in membership, they, also, invested effort, money and dedication in social affairs, a good example of that is the success of the Ikhwan (Muslim Brotherhood) in Egypt, in assisting poor people with education, health and living expenses. In Morocco, the Islamists were frustrated by the time-old predominant role of the conservative monarchy in religious affairs, epitomized by the yearly act of allegiance, bey’a, presented by officials to the “Commander of the Faithful” on the day of his accession to the throne, to give his office a religious blessing and express to his sacred person a form of religious obedience. As a result, militant Islamists, expressed their willingness to change the course of things by indulging in violence in the Casablanca bombings of May 3, 2003, leading to the death of 47 innocent people. Their aim was to destabilize the state and the monarchy and push the rank and file to rally their cause but it is the contrary that occurred. The population expressed allegiance to the monarchy wholeheartedly, a timeless symbol of Moroccan stability and law and order. This dramatic event served as a wakeup call to King Mohammed VI to review his management of the religious faith in Morocco. 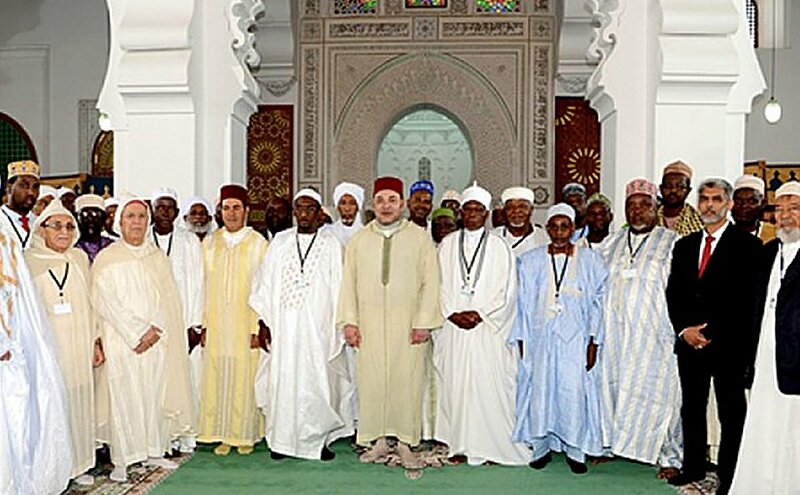 However, the most important achievement in the present monarch’s progressive management of faith issues is the opening, on March 27, 2015, of Mohammed VI Institute for the Training of Imams, Morchidines and Morchidates (Institut Mohammed VI pour la formation des Imams, Morchidines et Morchidates) initiated to play a leading role in fighting religious radicalism and religious violent extremism, especially among the lower social class. This institute, referred to by the general public as “Imam Academy” is, probably, the first organized reaction to the massive fundamentalist tsunami in religious preaching and education. Until now, radical Islam, quite aptly, had the upper hand in religious education, or rather, religious indoctrination, brainwashing the youth in hating anyone standing against their philosophy – especially the West, notorious for its secularism and democracy. This institute is training Moroccan students, as well as, clergy from countries such as Nigeria, Chad, Guinea, Côte d’Ivoire and France. Soon, students from Tunisia and the Russian Federation will join. The academy provides a curriculum in religious topics such as Koranic interpretation, exegesis, sayings of the Prophet (Hadith) and his doings (Sunnah), as well as Islamic law (shari’a). It, also, provides education in humanities, mainly: philosophy, psychology and sociology, subjects that are notoriously despised by the Islamists because they stimulate critical thinking. The duration of the training is a full year for Moroccan students and two years for the others. The French, however, will have to spend three years after which they will be granted a degree to become official Imams in their own country. “For years, the Kingdom of Morocco viewed itself as an exception to the radical political problems of the Middle East—a designation that suggested its experience was both unique and not easily translatable to the outside world. Increasingly, however, Morocco appears to be transitioning into the role of an intellectual model that is both willing and able to take a stand against Salafism and jihadism. 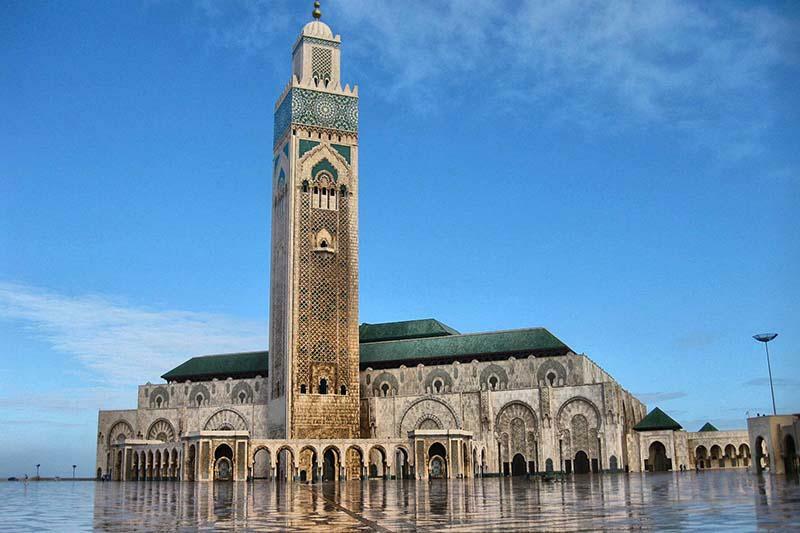 In the words of one Moroccan religious official, the kingdom today “sees itself as a natural leader” in the battle of ideas taking place in the Muslim world, on account of its religious credibility and its tolerant teachings. Morocco is definitely an Arab-Muslim country but very moderate and very open to the rest of the world. The Monarchy has served for 13 centuries as the symbol of stability by assuming both a temporal role (executive monarchy) and a religious mantle: imarat al-mu’minin (Commandership of the Faithful.) Morocco has sailed successfully through the Arab Spring turmoil because back in 1996, Hassan II launched a very important political initiative for incremental democracy and power-sharing and his successor has maintained this progressive devolution of power. Morocco, because of its millennial relations with Jewry, has developed an understanding for Jewish culture and religion and as such has served successfully in pre-Oslo negotiations, leading to the Oslo I Accord of 1993 and Oslo II Accord of 1995, between the Palestinians and the Israelis, in bringing their views close to each other. Morocco still continues to play the role of mediator in the on-going conflict quietly but surely. Since he assumed power in 1999, King Mohammed VI has been very active in the economic development of Africa. He is, all the time, visiting personally African nations offering help and launching with them joint win-win economic programs, that will certainly help these countries develop by having access to Moroccan capital as well as know-how and expertise. Today, Maroc Telecom, major banks and insurances companies, building holdings, etc. are very present in all Africa. Besides, Moroccan universities and higher education institutions welcome thousands of African students, many of whom hold Moroccan scholarships. Moroccan Blue Helmets are in several parts of the world serving under the banner of the UN to keep peace and give hope to embattled populations. Moroccan army is, also, present in several Gulf states helping with security and has, recently, joined the Saudi-led Arab coalition to hopefully bring peace and stability to Yemen. Many African migrants have come to Morocco from Africa, over the last three decades, with the hope to go the European El Dorado, but have failed in their efforts, so they found themselves stuck in Morocco with no future prospects and no will to return to their poverty-stricken countries of origin. In view of this human tragedy, Morocco voluntarily greeted the migrants an gave them official residence permits, which will allow them to get work for themselves and education for their children besides other social benefits for their poor families. To date, Morocco is the only Arab country that has a clear and progressive migration policy. King Mohammed VI has not only succeeded in keeping Morocco safe from the Islamist Tsunami and the ill-fated Arab Spring and its dire consequences, but has, also, aptly initiated a paying strategy to combat radical religious indoctrination, which for the moment is available in Morocco but can be easily copycatted in other countries of the Muslim world. So, not only Morocco has survived miraculously the Islamist undertow, but it is, also, leading the way toward a more moderate Islam, accepting of other faiths and cultures and respectful of their difference. And it was about time Muslim moderates stood up to extremism in an orderly manner. So, Morocco is willingly becoming the new Andalusia for multiculturalism, diversity and intercultural dialogue, showing the way for peace and brotherhood of men for the rest of the Muslim world, to build a better world of harmony and togetherness. Amen. 6. Schroeter, Daniel J. 2002. The Sultan’s Jew: Morocco and the Sephardi World. Stanford University Press. 264 pages. This book challenges accepted views of Muslim-Jewish relations by emphasizing the ambivalence in the relationship. It shows how elite Jews maneuvered themselves into important positions in the Moroccan state by linking themselves to politically powerful Muslims and by establishing key positions in networks of trade. The elite Jews of Morocco were also part of a wider Sephardi world that transcended national boundaries. However, Macnin remained more connected to Morocco, where Jews were, according to Islamic law, protégés of the ruler and still subject to specific legal disabilities. The early-nineteenth-century sultan Mawlay Sulayman confined Jews in a number of Moroccan cities to newly created Jewish quarters as part of a policy of defining boundaries between Muslims and Jews. Yet Macnin remained closely tied to royal power, and in 1822 he became the principal intermediary between Morocco and the European powers for Mawlay Sulayman’s successor, Mawlay ‘Abd al-Rahman. 7. Geertz, C. ; Geertz, H. ; Rosen, L . ; & Hyman, P . 1979. Meaning and order in Moroccan society : three essays in cultural analysis. Cambridge : Cambridge university press. It is a collective anthropological work that deals with : social identity and points of attachment: approaches to social organization ( Rosen, Lawrence,) Suq: the bazaar economy in Sefrou ( Geertz, Clifford,) the meanings of family ties ( Geertz, Hildred) and a photographic essay by Paul Hayman (510 pages ). Abstract : Studies of religious regulation tend to examine how states manage the domestic religious market. This article extends this research program by analyzing a state that regulates the religious markets of foreign countries. The Moroccan case demonstrates the circumstances under which a religious bureaucracy designed to manage domestic religion can be turned outward, and employed to achieve foreign policy goals. Unlike other cases of foreign religious regulation, however, Morocco’s efforts have been welcomed at the same time that the policy advanced Morocco’s interests. What explains the success of Morocco’s religious foreign policy? Building on interviews with religious elites from a recipient country, this article argues that Moroccan religious foreign policy has been successful because it was perceived as having historical and cultural legitimacy, it built on pre-existing institutions, and it was paired with renewed economic collaboration, three factors that have broader theoretical relevance to the study of religious foreign policies. This article appeared in modified form as a chapter in the book: Bureaucratizing Islam: Morocco and the War on Terror. The two publications proceeded simultaneously. L’Initiative Nationale pour le Développement Humain, lancée par Sa Majesté le Roi Mohammed VI, que Dieu L’Assiste, le 18 mai 2005, vise la lutte contre la pauvreté, la précarité et l’exclusion sociale à travers la réalisation de projets d’appui aux infrastructures de base, projets de formation et de renforcement de capacités, d’animation sociale, culturelle et sportive ainsi que la promotion d’activités génératrices de revenus et d’emplois. De par son originalité et son aspect novateur, l’INDH se fonde sur une nouvelle philosophie et un nouveau style de management. Dans ce cadre, le Discours Royal constitue la feuille de route et la référence se focalisant sur un socle de valeurs à savoir, la dignité humaine, la confiance des marocains en soi et en l’avenir de leur pays et la participation de la population concernée à travers le diagnostic participatif et la déclinaison des besoins exprimés en projets. De plus, la bonne gouvernance et la pérennité s’ajoutent à ces valeurs qui confortent une gouvernance intelligente, démocratique, et qui donne la possibilité à tous les acteurs du développement de s’impliquer fortement dans le processus de prise de décision de la chose publique. Synopsis : Yachine is 10 years old, he lives with his family in the slum of Sidi Moumen in Casablanca. His mother, Yemma, leads the family as best as she can. His father suffers from depression, one of his brothers is in the army, another is almost autistic and the third, Hamid, 13, is the boss of the local neighbourhood and Yachine’s protector. When Hamid is sent to jail, Yachine takes up jobs after jobs, though empty, to get free from the doldrums of violence, misery and drugs. Released from prison, Hamid, now an Islamic fundamentalist, persuades Yachine and his pals to join their “brothers”. The Imam, Abou Zoubeir, their spiritual leader, starts to direct their long-standing physical and mental preparation. One day, he tells them they have been chosen to become martyrs. The film is inspired by the terrorist attacks of May 16th 2003 in Casablanca. 17. http://www.habous.gov.ma/fr/institut-mohammed-vi-pour-la-formation-des-imams,-morchidines-et-morchidatesi.html L’Institut Mohammed VI pour la formation des Imams Morchidines et Morchidates crée par le Dahir Chérifien n°1-14-103 du 20 Rejeb 1435 (20 mai 2014) est dirigé par M. Abdessalam Al Azaâr. la publication de travaux de recherche et d’études entrant dans le cadre de ses centres d’intérêts. 23. Cf. The Constitution of the Kingdom of Morocco of 2011.